Google Chrome has done some experiments by developing a Globe in which we can show our data in Geographical Form. 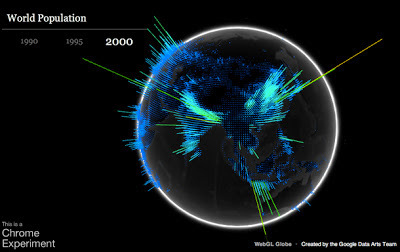 The WebGL Globe is an open platform for geographic data visualization. Here you can add your data and create your own globe.